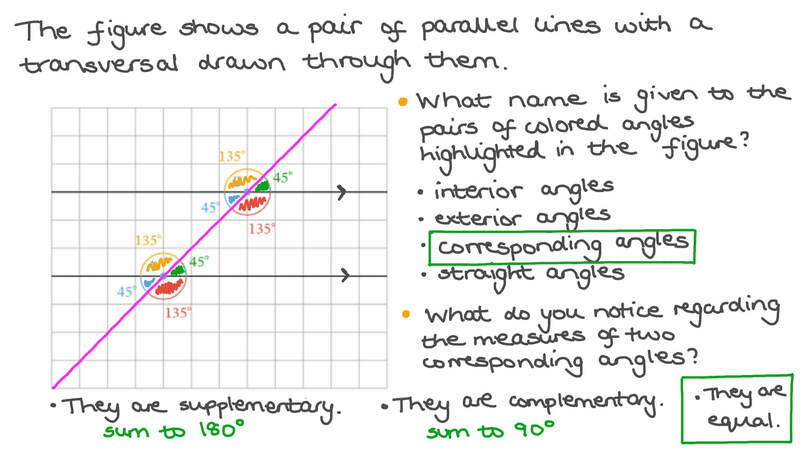 In this lesson, we will learn how to identify parallel lines and how to prove they are parallel using angle relationships. ATwo lines are said to be parallel if they lie in the same plane and never intersect however far they are extended. BTwo lines are said to be parallel if they lie in the same plane and meet at an reflex angles. CTwo lines are said to be parallel if they lie in the same plane and meet at an right angles. DTwo lines are said to be parallel if they lie in the same plane and meet at an acute angles. ETwo lines are said to be parallel if they lie in the same plane and meet at an obtuse angle. BThey sum to 1 8 0 ∘ .